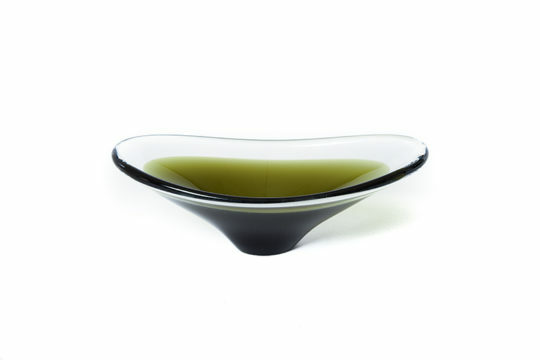 this heavyweight glass dish contains green & clear glass, pleasantly intermingled. in great condition, unsigned. acquired in Denmark, assumed to be of Scandinavian origin.